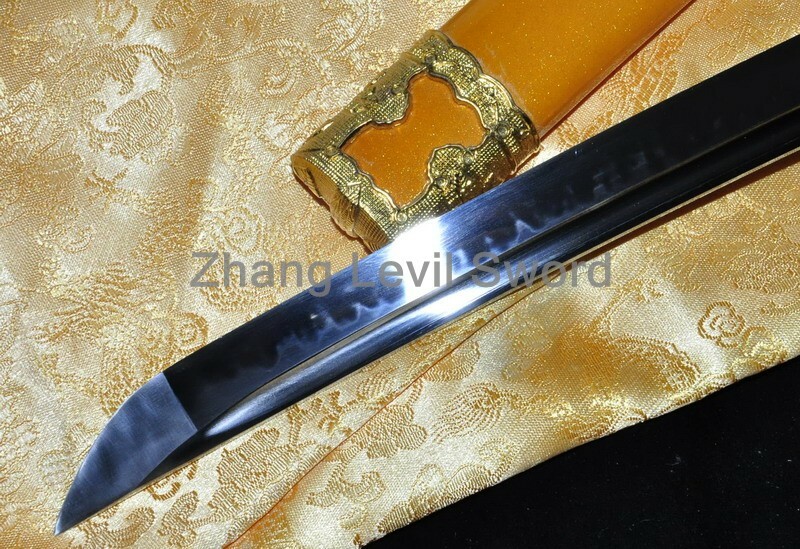 BLADE : The blade of this sword is hand forged and polished with 12 procedures. 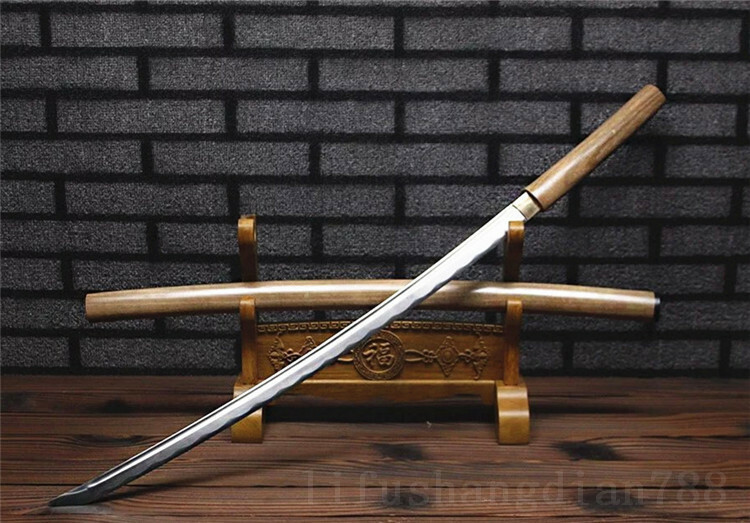 the steel we use is not the normal steel with the truck or cars or other life electrics, the steel use for the blade contents much more carbon and the purity can not be comparable. 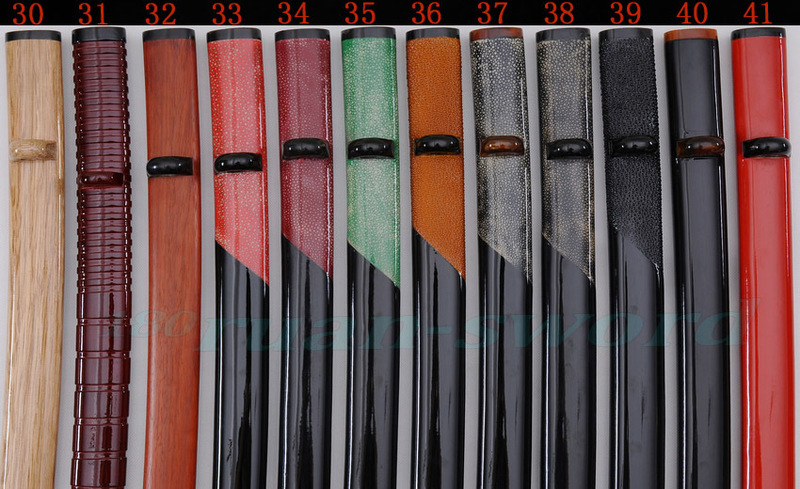 TSUKA: The Tsuka (handle) is made of hard wood (wider on the 2 ends and thinner in the middle of the handle),tightly wrapped over genuine Samegawa (Ray skin) with silk Ito. 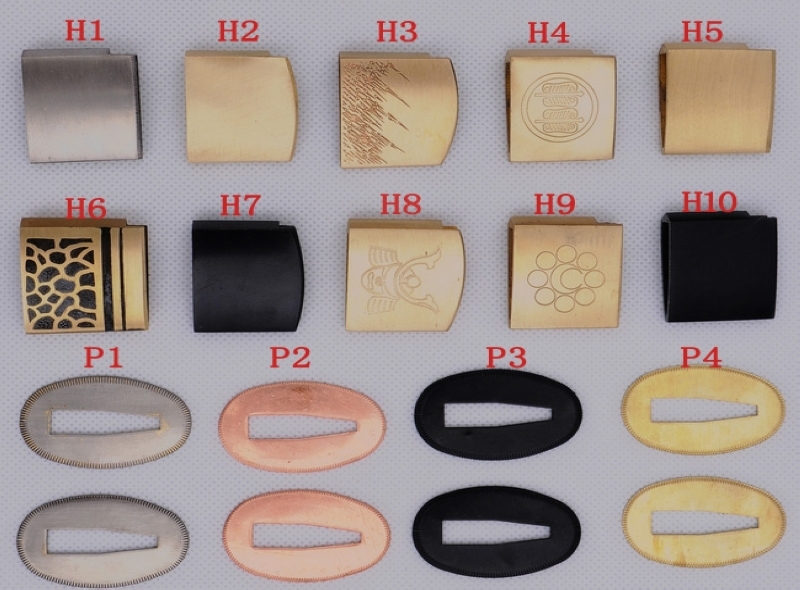 The Fuchi (sleeve) and Kashira (buttcap) are made of Alloy. 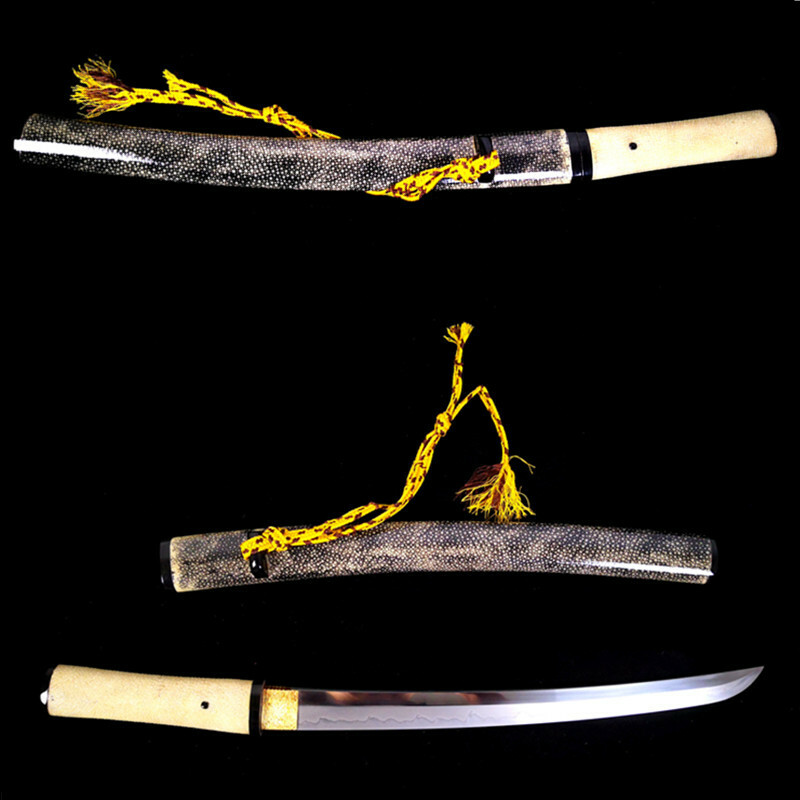 The Tang of the sword is secured by two Mekugi (pegs). 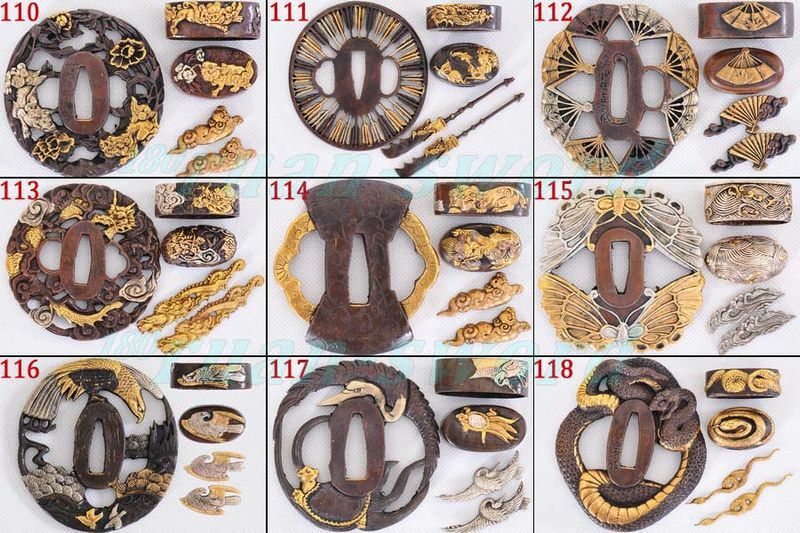 Two Menuki (ornaments) are on each side of the Tsuka. 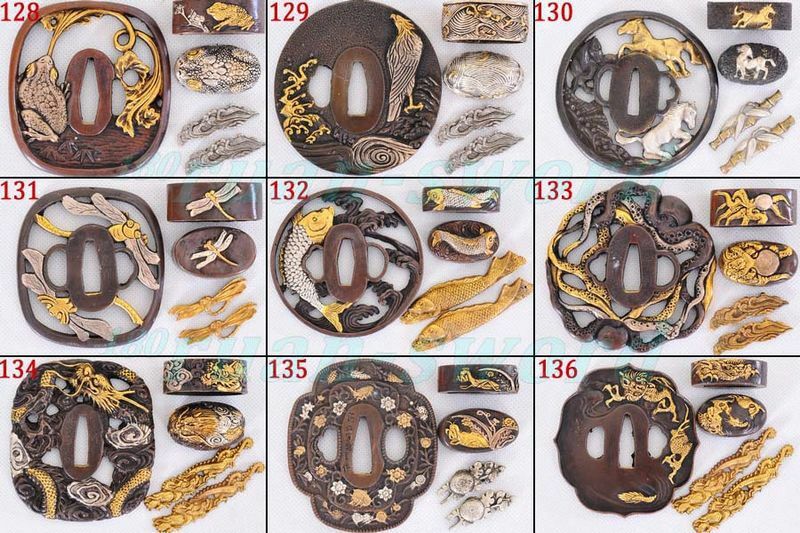 SEPPAS(spacer): Two Seppas secure the Tsuba (if the tsuba is not so tight after a long time,you can disassemble the sword and put more seppas there). 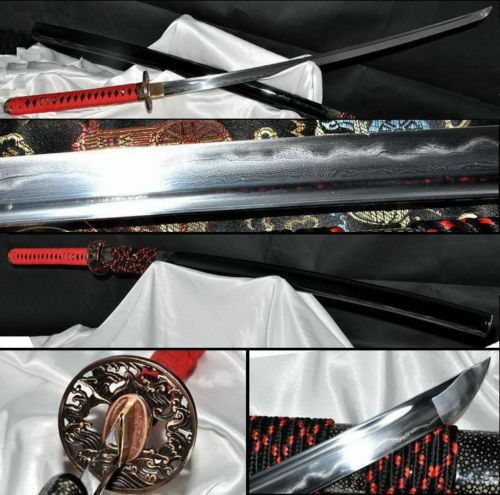 SAYA: The saya (sheath) of the sword is made of hardwood, tied with Sageo brass Kurigaga (knob) of the scabbard and tightly wrapped over Samegawa(Rayskin). 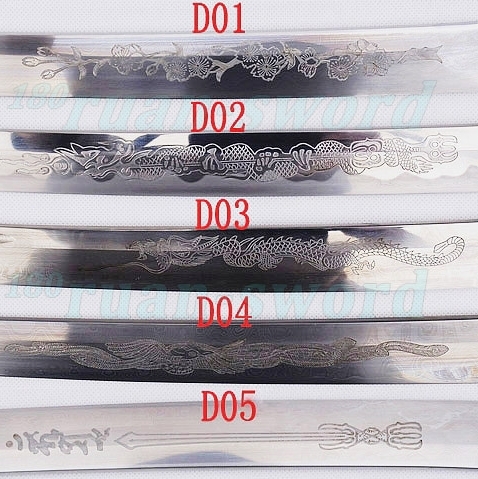 *Note: 1 to 2 cm deviation will be existed as all the swords are handmade. Please kindly understand it. 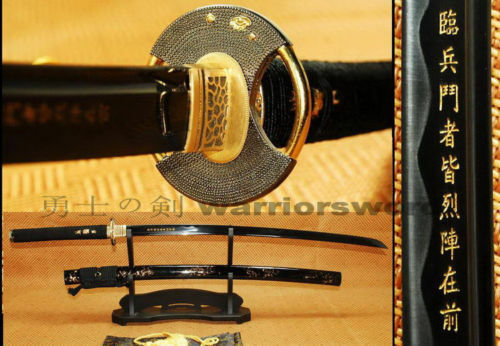 We can custom-make this sword according to your requirements,if You want to customize it with different fittings (tsuba,ito,sageo,saya).We also can engrave your name, simple symbol or something else you like on the blade. 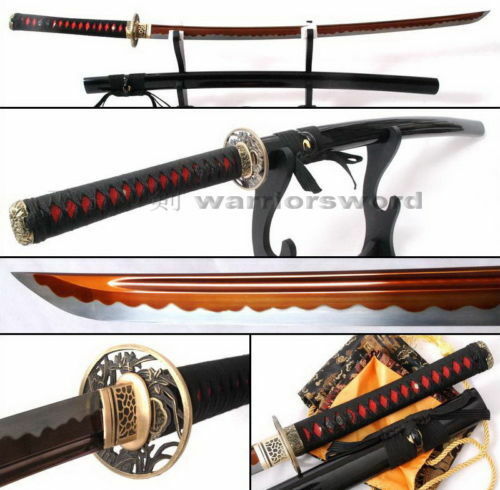 if you need to change some parts, please send me a message through your messaging system before or after you purchase,sword will be made according to your required. please do this in 24 hours in avoid the sword has been sent out. 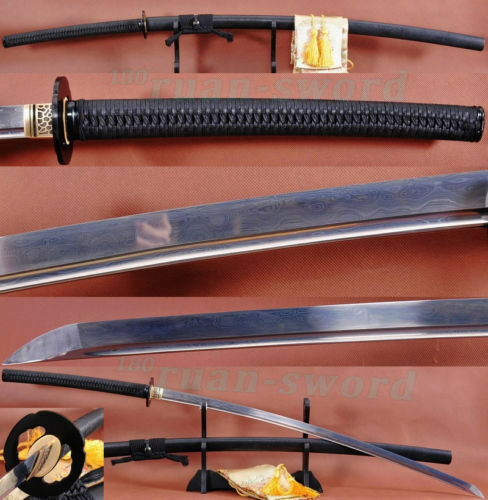 C. Due to our swords are full hand made, so Specs will vary slightly from sword to sword. please understand. 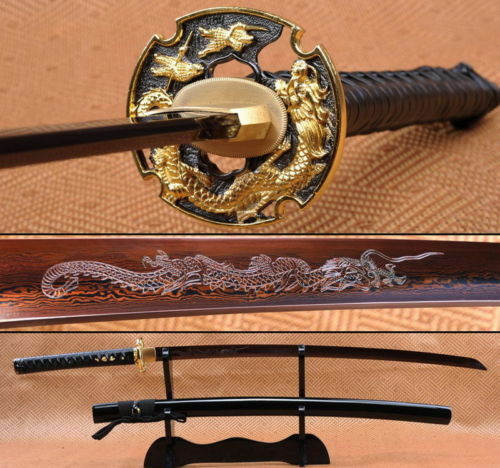 We can engrave Chinese characters,English letters or Japanese kanji on the blade. 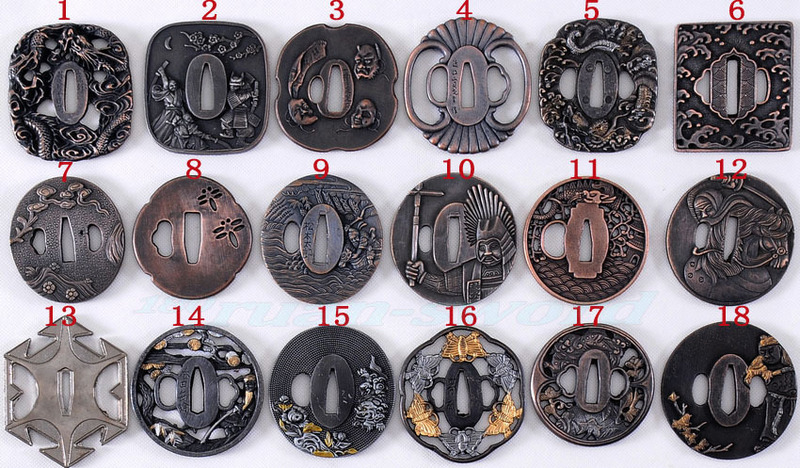 If you want us to engrave your name in Japanese, please translate your name into Japanese first, then send your Japanese name to us via message system. 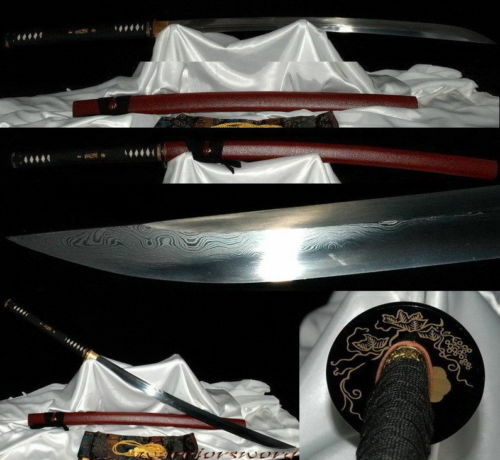 We also can engrave simple logo or something else you like on the blade by etching. you need pay an additional $20, and we need about one week to complete it. 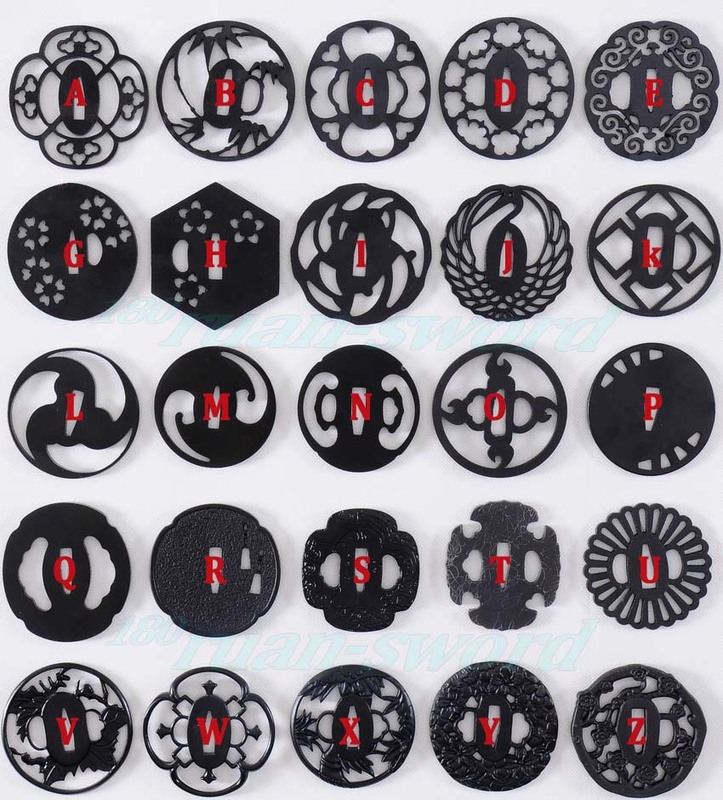 Complicated patterns, please contact us through message for the price. 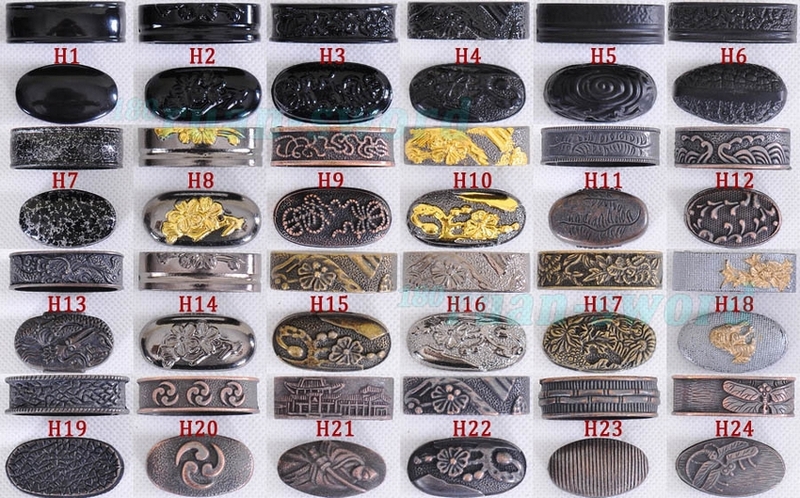 Engraving by machine can be completed within 2 days;Engraving by etching need 3-5 days to completed. - Area of $35 shipping for each sword: Western Europe for following countries: Austria, Belgium, Finland, France, Germany, Ireland, Luxembourg, Malta, Norway, Portugal, Spain, Sweden, Switzerland, U.K.
-Shipping to middle Europe and East Europe is $48 for each sword : For exampleBulgariaYugoslavia, Latvia, SlovakCroatia, But we cannot ship the sword to any country on the world because of the customs policy, please contact us before you buy anything. - Cannot be shipped countries: Russia, DenmarkMexico, Greece, Lithuanian, Turkey, Saudi Arabia, Malaysia, Philippines. - Time to deliver : Usually most of items are shipped within 2-3 days upon payment verification. 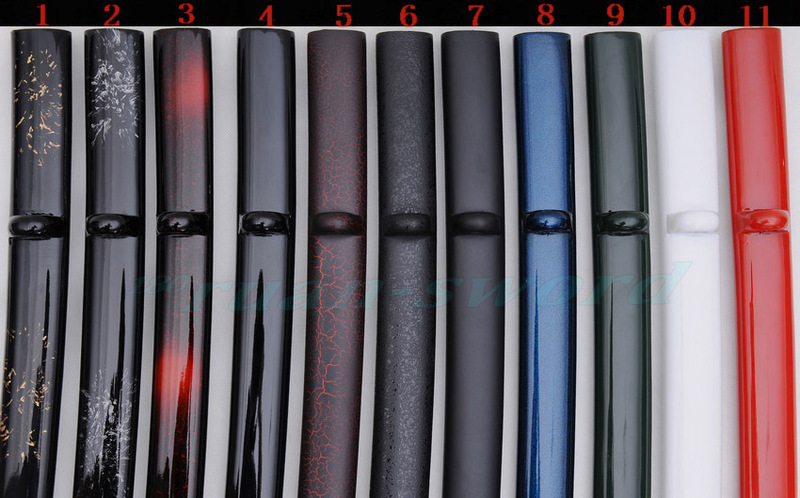 The deliver time is about 7-12 days, which depends on the Custom clearance efficiency. So ,normally, it take about 10-18 days to get the item after you purchase it. 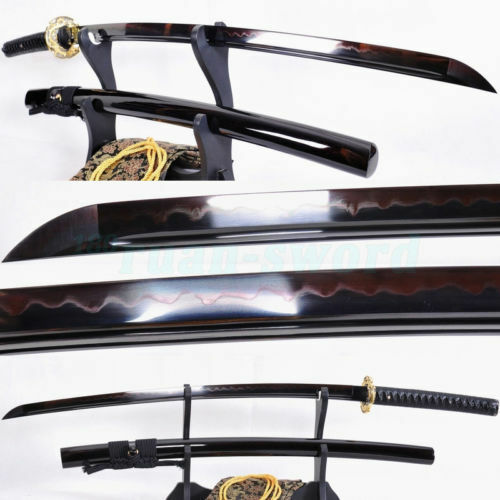 and we will use thick foam box to pack your swords, so please do not worry about long-distance transport. 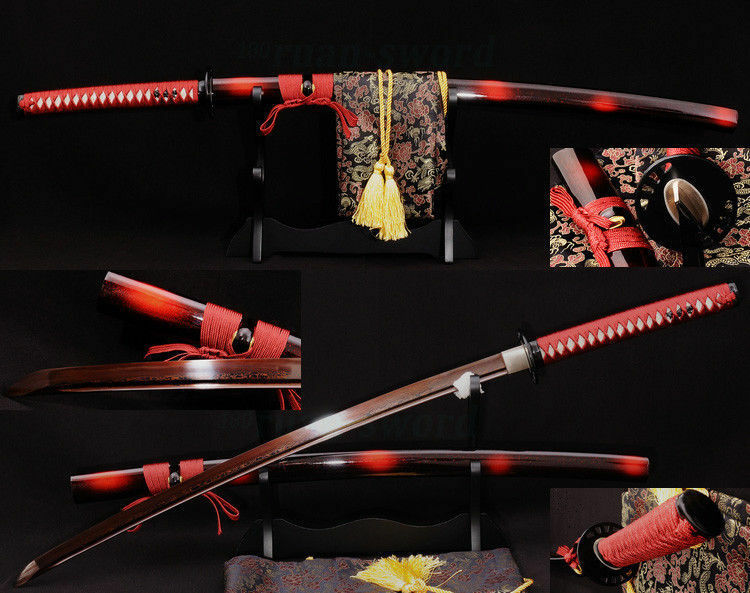 - Customized swords are shipped within 3-5days. 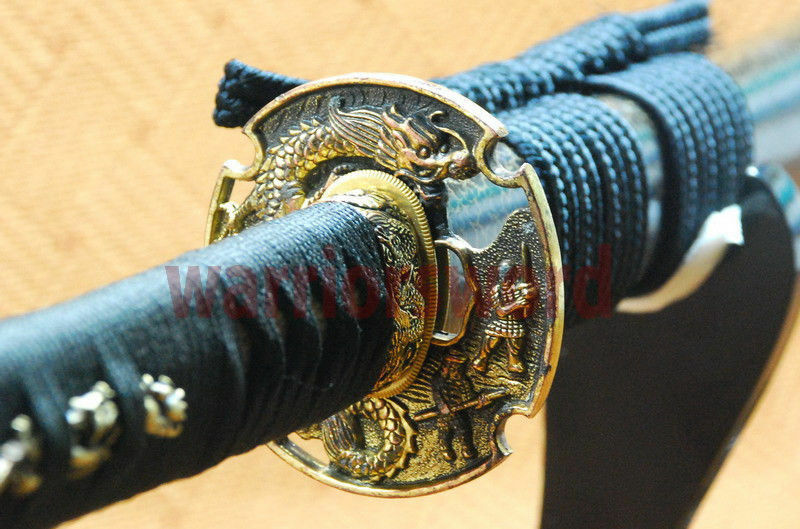 Special customized sword may need more time. - Shipping method : We have only one shipping way so far, its EMS. 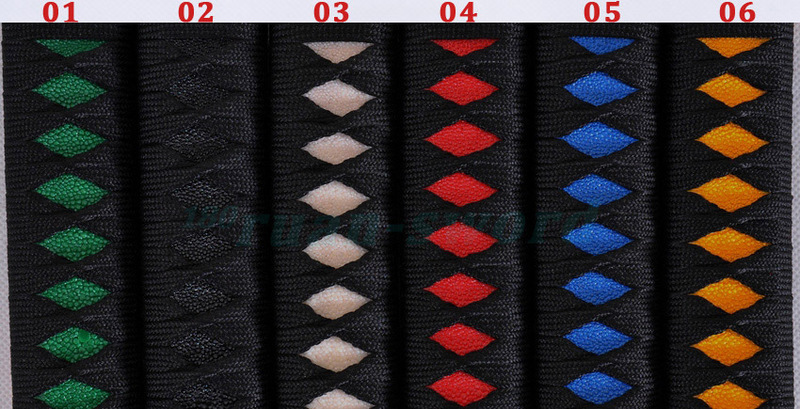 We will post the new shipping way if we get more choice. 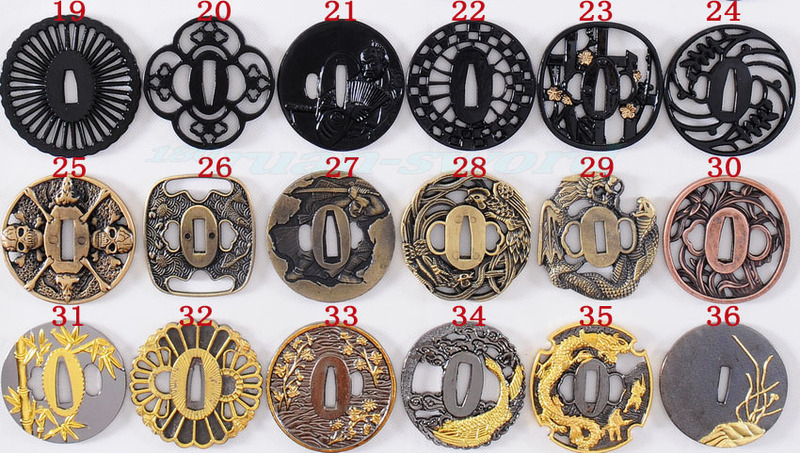 - Item tracking : We will tell you the items number after we send out your items. 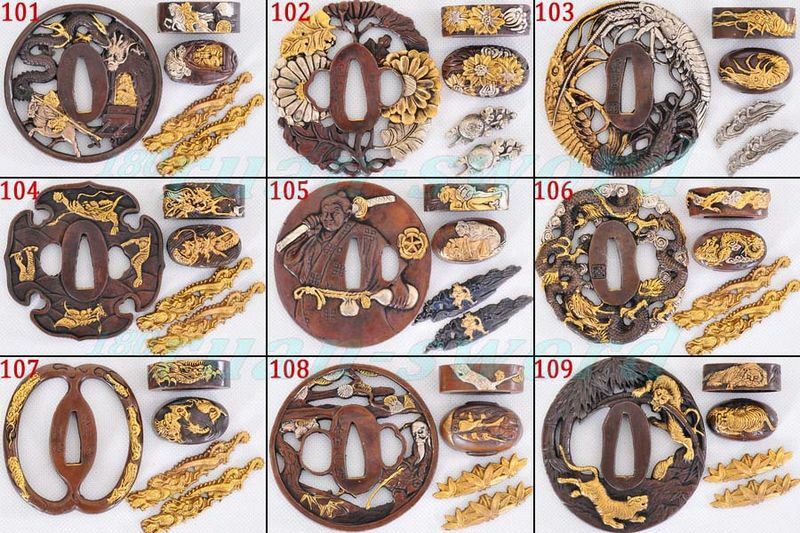 You can track them by visit the website of :ems.com.cn/english.htmlto view the shipping status. Please try more times if the track website doesnt responds. - We accept payment method Only ,We don\'t accept Personal cheque. - Please make sure your shipping address is correct, We will only ship your order to the address that we received from . If you need to change the shipping address, please contact us before item shipped. - If any problem or question with the payment, just feel free to let us know. -Buyer and bidder must be at least 18 years. 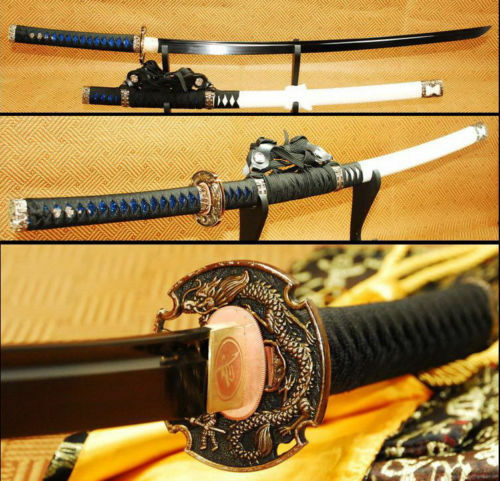 - Buyers must understand your local laws regarding ownership of this item. - Please contact us to fix the problem before leaving a negative feedback (Negative feedback can\'t solve any problem). We will do whatever reasonable to resolve your problem as long as we are given the opportunity. -Buyer can claim return items if our items are not as described after received items during 5days.